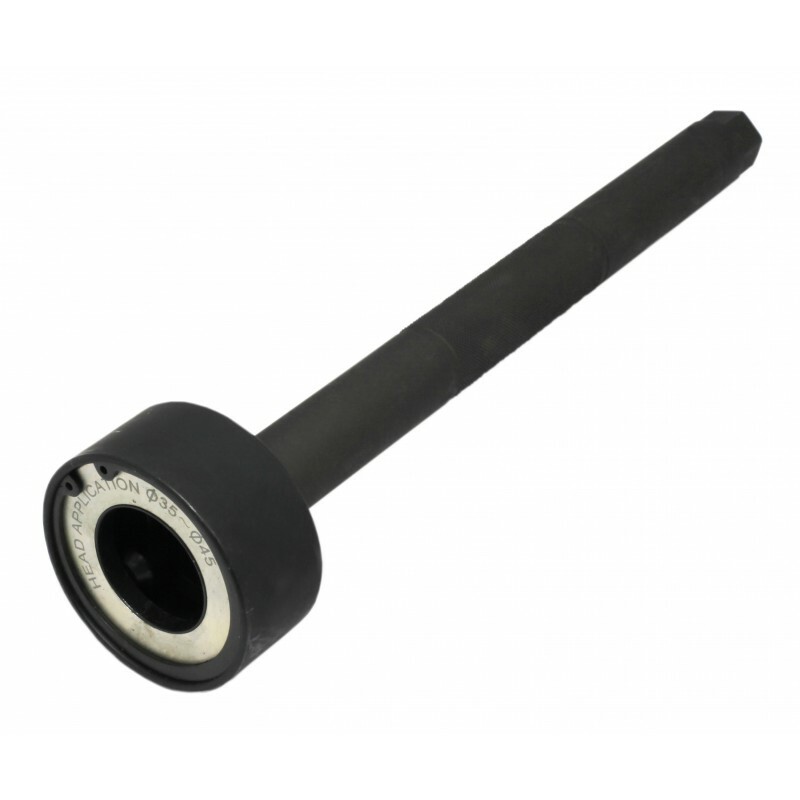 AST6136 Tie Rod Removal and Installation Tool aids removal and installation of inner tie rods without the need to fully disassemble and remove the steering mechanism from the vehicle. It is suitable for the removal and installation of tie rod nuts 35-45mm outer diameter. AST6136 can be used in conjunction with a 27mm wrench or a 1/2" drive power bar, ratchet or torque wrench. The through hole allows the tie rod to pass inside the body of the tool, where rollers in the head securely grip the nut of the tie rod in three places, providing a positive connection in order to remove or install the tie rod from the steering rack assembly.